Jonathan Hunt, who led Vice's global marketing efforts, is leaving his post to help Vox Media expand as its global vp for marketing and partnerships. Hunt asserted that he still believes in the efforts of his former employer, and believes we still haven't seen the extent of Vice's potential. However, with he just couldn't pass up the opportunity with Vox Media, which includes sites like Vox, SB Nation, The Verge and Eater. 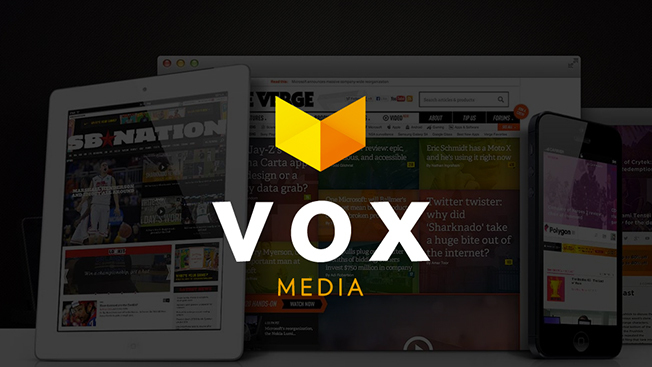 "Vox Media is synonymous with great content and marketing innovation. I haven't see this in another media company. I saw a new opportunity that I thought I could bring a unique perspective to," he explained. During his six-year tenure at the Brooklyn-based publication, Hunt helped lead Vice's branded content marketing strategies, including working on the Intel and Vice partnership The Creators Project. He and his team also helped expand Vice's owned and operated channels, which have quadrupled in size over the last two years. However, what got Vox Media most excited about Hunt was his work creating co-sales partnerships with social media platforms. Hunt and his Vice team were instrumental at developing the Facebook-Vice content distribution and analytics deal, in which the publication created native ad content for brands like Anheuser Busch-InBev specifically for the Facebook platform. The social network then promoted the content through paid media and tracked the materials' performance. Vox is looking to similarly offer brand activation deals with social media backing on platforms like Twitter and Snapchat, and sources close to the situation claim it is close to inking a deal with Facebook. Vox Media CEO Jim Bankoff added that Vox Media is excited for its partners to benefit from Hunt's expertise. "Vox has really built a reputation and become a growing digital media company built on two premises: building the best quality content and building the best quality audiences," Bankoff said. "We're looking to Jonathan to help take those skills and advance them to the next level, especially around audience development and growing a quality audience." Hunt's last day at Vice will be Aug. 29, and he'll start in his new role on Sept. 8. Though Vox Media is headquartered in Washington, D.C., he'll be working out of New York while reporting to Bankoff.